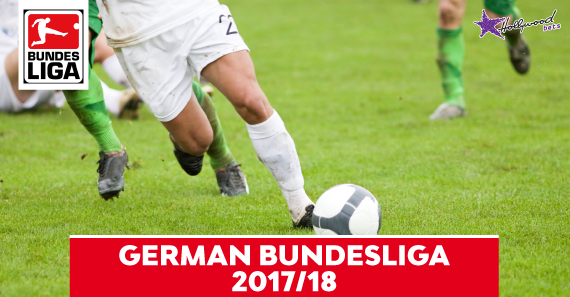 Our soccer pundit previews the German Bundesliga week 23 action which kicks off on Friday 16 February 2018. It was a good week on the betting front for yours truly after tipping a healthy 43/10 treble in round 22. This weekend offers a chance to build on those winnings with a full set of mouth-watering Bundesliga clashes. Hertha Berlin impressed last time out with a well-deserved 2-0 win away to Bayer Leverkusen. Mainz are without a win in their last 17 travels, including three losses on the spin with their last win on the road being last year 25 February. The Old Lady have won the last two meetings at home against Mainz and will be eager to add to that tally. Get on the home win. Wolfsburg are placed 13th on the standings with just four wins from 22 matches. Runaway leaders Bayern Munich have been in brilliant form with nine straight victories and have been outstanding on their travels. The Bavarians have won the last three meetings away to Wolfsburg, scoring 11 goals and conceding just once. Back the defending champions on the (-1) Handicap at 19/20. Freiburg were less than flattering last time out, going down 2-1 at Hannover. However, they return to home soil this weekend, where they remain unbeaten in their last five matches with three wins and two draws in the process. Nonetheless, Werder Bremen have been impressive of late with two wins on the bounce and have an excellent record away to their opponents. The away win is on the cards. Cologne have shown fighting spirit in recent weeks but need to dig deeper if they are to dig themselves out of the hole they currently find themselves in. Hannover grounded out a hard-earned 2-1 win at home against Freiburg. I’m expecting a tightly contested matchup and one that ends on a low-scoring note. The last five meetings between these sides have seen Under 2.5 Goals scored, so I suggest you follow the trend at 19/20. Hamburg are second from bottom on the table with just four wins from 22 matches, scoring 17 goals and conceding 32 times. Bayer Leverkusen fell to a 2-0 home defeat against Hertha Berlin last time out and will be looking to return to winning ways. Die Werkself are unbeaten in their last eight travels with four wins and four draws, while Hamburg are winless in their last four home games. Back the away team to come out on top. Schalke have been poor of late with two defeats on the bounce, including a hard-fought 2-1 loss to Bayern Munich last weekend. Hoffenheim ousted Mainz 4-2 on home soil last time out and will be hoping to build on that. An end-to-end enter is predicted but this is one contest that could go either way. Both Teams to Score – Yes – is tipped at 13/20. Augsburg fell to a 2-0 defeat at Leipzig last time out but return to WWK Arena where they remain unbeaten in their last six matches with back-to-back wins. Stuttgart are without a win in their last 18 matches on the road, including 13 losses. Fuggerstadter have won the last four meetings at home against Stuttgart and look good value for money to add to that. The home win is the way to go. In what is arguably the Bundesliga match of the weekend, Monchengladbach will take on Dortmund in the Borussen derby. The hosts have been dreadful in recent weeks with three consecutive defeats, while the Black and Yellow Army are unbeaten in their last seven games with back-to-back wins. Recent meetings have produced some brilliant attacking games with 29 goals scored between these sides in the last six head-to-heads at an average of 4.8 per game. You could play it safe and back the Over 2.5 Goals market at 11/20, but I’m following the value and going with the Matchbet & Both Teams to Score – Dortmund & Yes – at 24/10! Monday will see Eintracht Frankfurt and Leipzig close off the round. The Eagles have won three of their last four matches, including back-to-back wins on home soil. Leipzig have been impressive of late with two wins on the bounce. With both teams hitting top form, a tactical and cagey affair is expected with a low-scoring affair the likely result. The Totals – Under 2.5 Goals – market should be taken at 17/20.